Crash Course 101 is a seven week course presented by Ottawa Roller Derby (ORD) that teaches people (aged 18+) the basics of skating for roller derby. Our course runs several times a year, the exact dates are announced prior to registration opening. 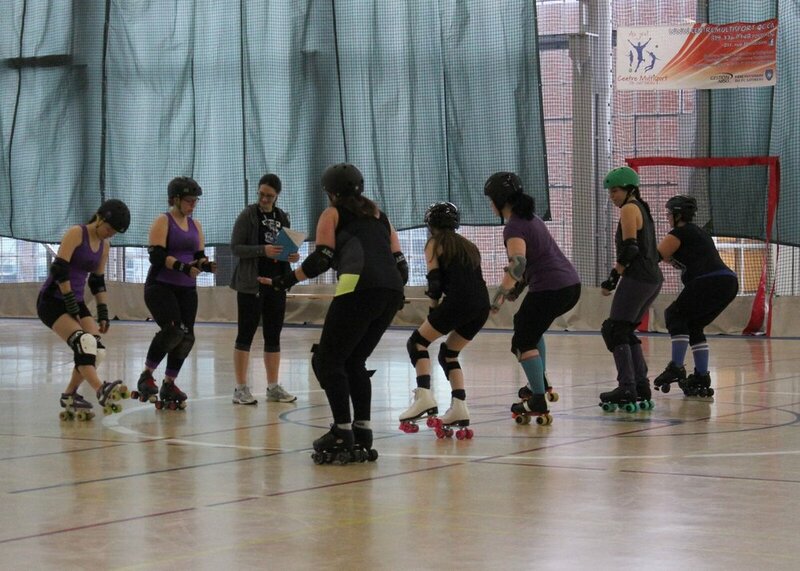 Participants will learn basic skating techniques such as proper derby position, stride, stopping, falling safely, crossovers and footwork, as well as an introduction to the rules of roller derby. Limited quad skate rentals are available on a first-come, first-served basis. Please email ordcrashcourse101@gmail.com for more information. Be the first to know when the next Crash Course 101 dates are announced.